Wokingham UK: It seems that some employers are persuading their workers to take wage cuts, maybe under the guise of long breaks from work. British Airways is pushing that agenda at the moment. Is this way of dealing with the crisis likely to play a big part over the next twelve months? Ezra Klein: Yep. I’m hearing a lot about unpaid “furloughs,” too. Essentially, you can do two things when labor costs are too high. You can fire people are you can cut their compensation. This is a way of cutting their compensation. And it means that the employment statistics are even worse then they look, because people are getting paid less money. I too feel like I’m hearing way more about this kind of thing than I have during past recessions. My sister had her 401(k) matching cut. 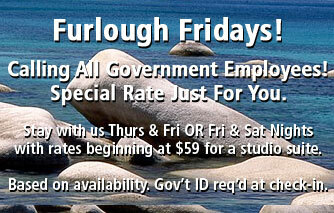 My wife’s company is making everyone take furlough days. The Virginia Symphony Orchestra took a month off. Etc. And of course, this is all on top of good old fashioned rising unemployment. But what’s the right metric to measure this? The 401(k) stuff doesn’t show up in wage figures but furlough days should, shouldn’t they? (Although many of them just end up eating into vacation time, which helps corporate accounting but doesn’t affect official wage figures.) Obviously wage freezes show up too. On the other hand, layoffs usually hit the most recently hired workers first, who are also the lowest paid, which makes average wage figures go up even as total wages go down. So consider this an assignment desk post. Are furloughs and benefit cuts more widespread than they have been in past recessions? What’s the best way to measure that? Surely some enterprising economist can answer this. POSTSCRIPT: Someone also asked Ezra about Matt Taibbi’s takedown of Goldman Sachs in the latest issue of Rolling Stone. I finally got around to reading it the other day, and my verdict is simple: it was terrible. Taibbi wrote a terrific article about AIG a couple of months ago, but the Goldman piece was just phoned in, a long series of blustery assertions with essentially nothing to back up any of them. If he wants to claim that Goldman was the wizard behind the curtain of everything from the dotcom boom to last year’s oil spike, he really needs to produce some evidence for it instead of just saying so. POSTSCRIPT 2: I just learned that Rolling Stone didn’t actually post Taibbi’s article. They only posted a set of excerpts, which is why the online version reads like a long series of blustery assertions with essentially nothing to back up any of them. Unfortunately, unless you read the intro very carefully, it’s not clear that these are merely excerpts. Instead, it just seems like a very badly written article. So: I retract what I said for now. I still suspect that Taibbi is considerably overstating things, trying to construct a dramatic narrative by blaming Goldman for things that are actually sins of the investment community as a whole, but I won’t know for sure until I read the entire piece.